Due to open in March 2019, MND Scotland’s new accessible holiday lodge has been designed for people who have Motor Neurone Disease (MND) to enjoy an accessible break with family and friends. The charity has invested £250,000 into the bespoke lodge which will be built in Clayton Caravan Park in Eden Valley, North East Fife. The arrival of the new lodge will see the closure of the existing Fife holiday caravan, Lang Break, that has been open since 2004. While the caravan will be missed, the replacement lodge is set to include an array of new equipment to make it easier for guests to enjoy their holiday. Sleeping seven people, it will include a ceiling tracking hoist from the bedroom to the wet room, portable hoists, a fully adjustable bed, riser recliner chair and more. We especially love the sound of the accessible decking! Photo: An example of how the lodge’s kitchen could look. Craig Stockton, MND Scotland’s Chief Executive said: “I’m delighted to reveal that MND Scotland is investing a quarter of a million pounds into our accessible holiday service for people affected by Motor Neurone Disease. “Due to the physical progression of MND, there are often barriers to families taking a break they may desperately need. 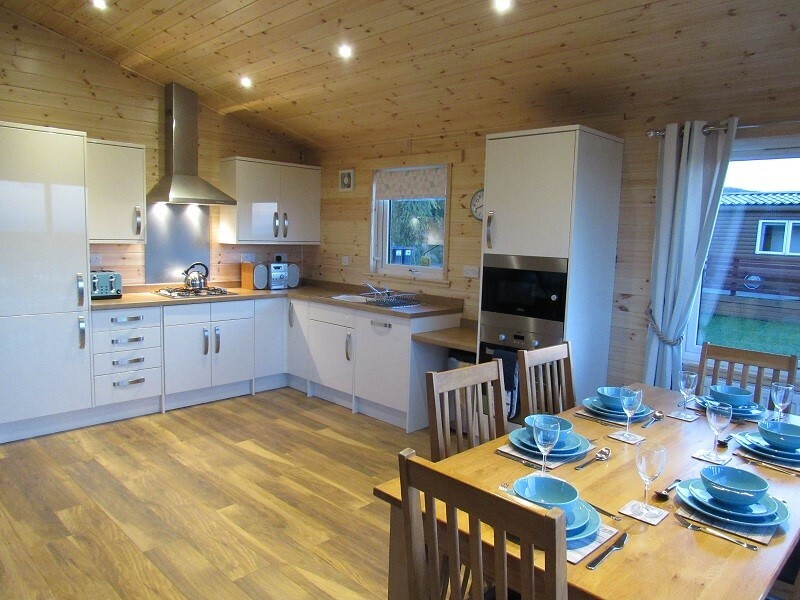 MND Scotland have another accessible chalet near Oban, and while anybody can stay in the charity’s purpose-built accommodation, those affected by MND will receive a discount and may be eligible for a Time Out Grant from MND Scotland to put towards their holiday costs. To find out more information go to www.mndscotland.org.uk/holiday-facilities or book your stay by calling 0141 332 3903. To celebrate the official opening in March 2019, the charity is planning a time capsule to be buried beside the new loge. The capsule will include objects and messages to be opened decades in the future, including messages that capture the experiences of people affected by MND. To include your message in the Time Capsule, you can email communications@mndscotland.org.uk with the subject ‘Time Capsule’. Photos: Provided by Island Leisure who will build the new lodge. Clayton Lodge will look different to the photos used here!